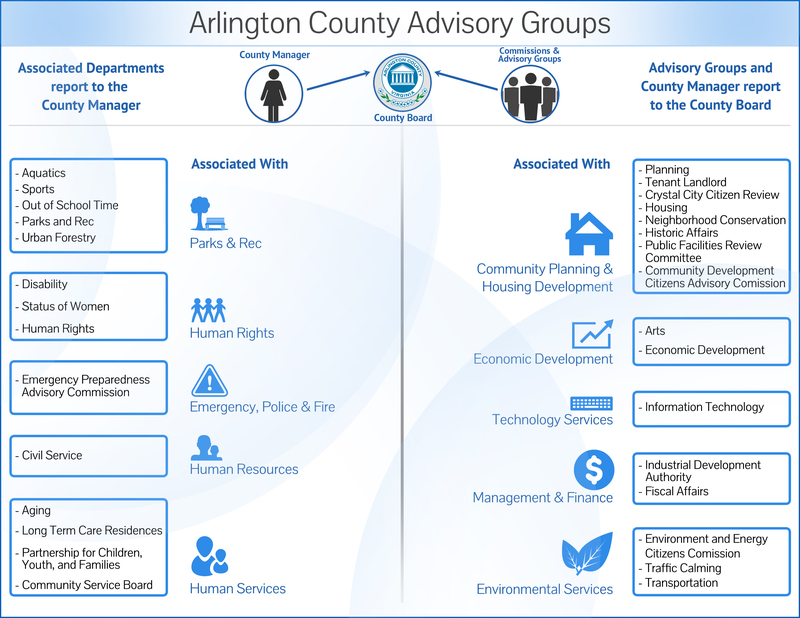 The Neighborhood Complete Streets Commission advises the County Board with respect to the adoption, implementation and review of the Neighborhood Complete Streets Program, which aims to transform Arlington’s neighborhood streets to the Complete Streets model as described in the Master Transportation Plan Streets Element. The Neighborhood Complete Streets Program is intended to (1) make streets safe for all users of all ages and abilities, including pedestrians, bicyclists, motorists and other users and (2) preserve or enhance neighborhood character and desired community attributes. This commission meets the third Monday of most months, starting at 7:30 pm. Meetings begin with a public comment period and the public is welcome to attend. Confirm time and location details in the meeting agenda. Meeting notes will be posted when approved by the Commission. The Neighborhood Complete Streets Program Guide along with the Neighborhood Complete Streets Project Ranking Guidelines were adopted by the County Board on Jan. 28, 2016. Additional information can be found on the Neighborhood Complete Streets Program webpage.